Huge thanks to Sally Hall of Need to Read This for the lovely Riley and the Curious Koala review! 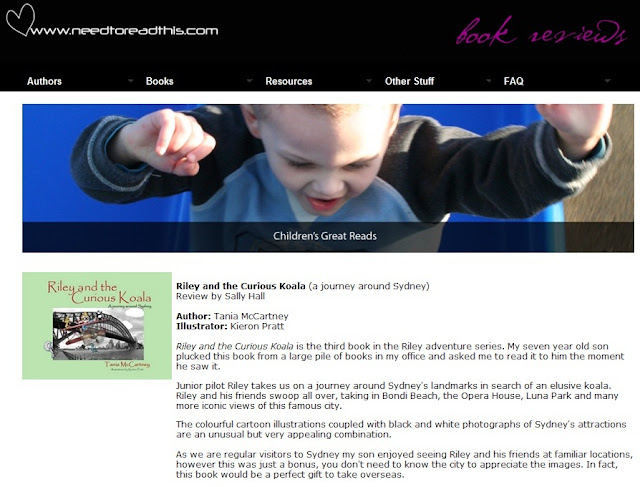 So so wonderful to hear kids loving Riley's adventures. Just warms the heart. Canberra and a very jumpy kangaroo is next! Yay, Canberra next. Very, very excited about this. Thank you Tania. After Sydney and Melbourne I thought you may have left Canberra off the list. It will make the perfect gift for so many of our friends!